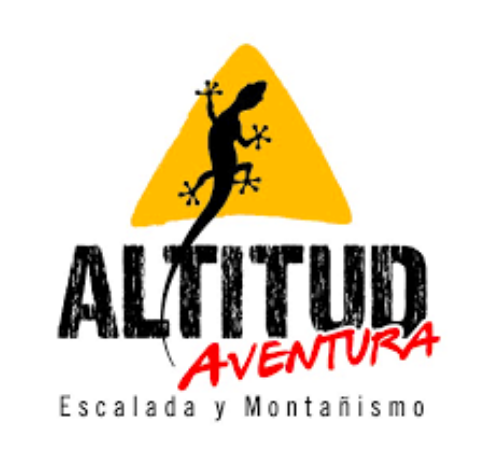 Altitud is Medellin’s original climbing gym (and one of the oldest in Colombia!). Located on the border between the Laureles and Belén neighborhoods, the gym offers a nice selection of bouldering and sport climbing walls. This is the only artificial wall in Medellin where you can top rope or sport climb. There are about 20-25 climbs of differing difficulty to choose from. You’ll need to bring your own rope, belay device and quick draws to sport climb (or pay to rent). They have top ropes set up ready for you to use. The bouldering area is small, but it has a mix of vertical, overhung and a few synthetic cracks to prepare yourself for the trad routes of nearby El Peñol. Altitud has a couple of hang boards, a campus board, and a selection of weights to use for training. Nothing crazy, but enough to get a workout in. Altitud has the potential to be a great gym, but it is in need of some love. The holds never get cleaned nor do the the routes ever get reset (an employee told me that it has been years since they’ve been changed!). In addition, it is pretty common to pull holds straight off from the wall. Not a pleasant thought to have when you’re lead climbing. Prices (March 2019) are as follows: 18,000COP to climb for the day and 95,000COP for the month. Half price to climb Wednesday and Friday if you go before 4pm. Hours are Monday to Thursday 2pm-9:30pm, Friday 2pm-9pm and Saturday 2pm-7pm. 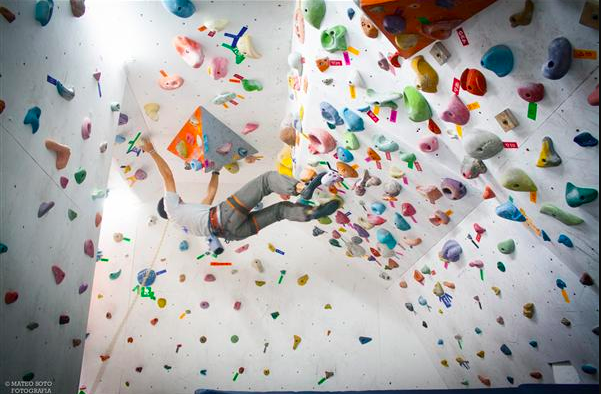 El Muro is Medellin’s newest climbing gym, located in the center of Laureles. It was started by Jerson Areiza, who is also one of the founders of Medellin’s premier outdoor rock climbing destination: La Peña de Abejorral. The routes are all boulders (there are a few lead walls, but they’re normally just for lessons) and the max height of the walls are about 2m. This gym is small for western standards, but for Latin America it is top notch. There are a nice mix of walls ranging from completely vertical all the way to ninety degrees. They make pretty much the best use of the space possible and get quite creative with the routes. It does get busy during the after work rush, so if you have the flexibility I suggest climbing around 2pm-5pm. Jerson does a good job switching out and cleaning the holds. Every week he resets a section of wall. He also switches in brand new holds regularly. El Muro also has the best climbing-specific training equipment in town. They pretty much have all of the basics covered – campus board, hangboards, transgression board, weights, rice buckets etc… just missing a moon board! Prices (March 2019) are as follows, 17,000COP for a one day entry, 20,000COP for entry with shoes, and 120k for a monthly membership. Hours are Monday – Thursday 2pm-10pm, Friday 2pm-8pm, Saturday 2pm-6pm. The gym also has a small shop where you can buy climbing gear. El Muro is definitely my choice for training in Medellin. The gym has been so successful that Jerson is opening another climbing gym in Medellin’s Envigado neighborhood and is currently planned to open at the end of 2019. Once opened it will not only be the largest in Medellin, but one of the largest in Colombia. For more information on the climbing around Medellin see: “The Best 3 Places For Rock Climbing Near Medellin, Colombia”, and “Why You Need to Go to La Peña de Abejorral – Medellin’s Best Rock Climbing”.